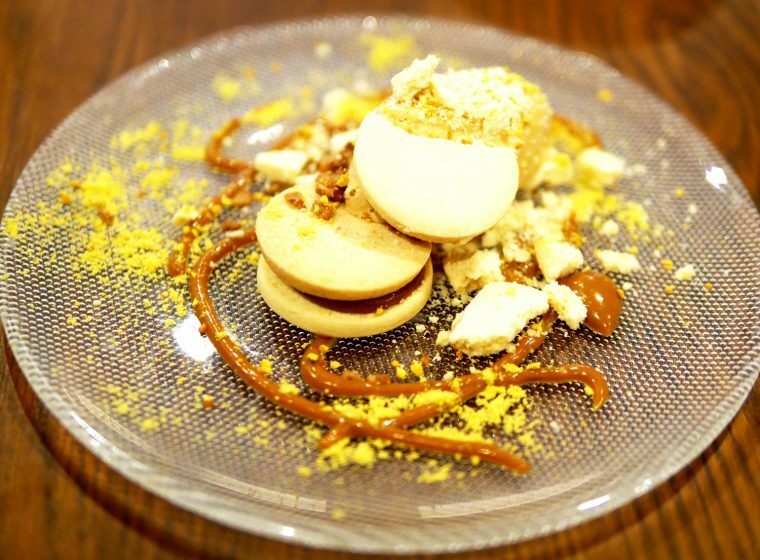 A trip to the Summer Exhibition should be rounded off by dramatic, colourful food. 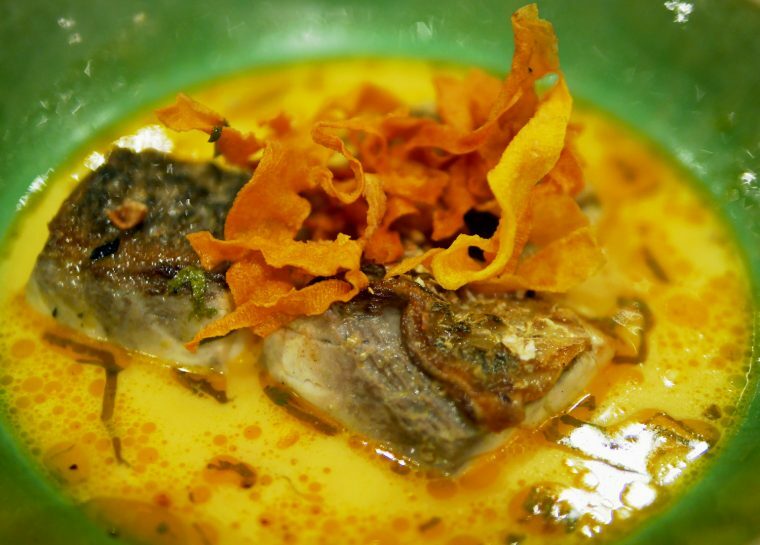 Lima has long been on my wish list – although I’ve sampled their food at some of London’s food festivals, I’ve never actually had a full meal. And I do love Ceviche. 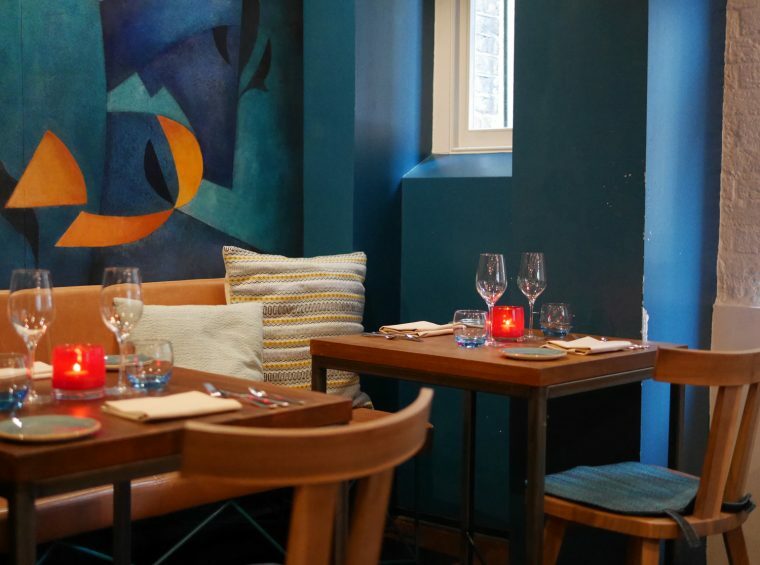 So, what better opportunity than a wet Saturday evening – when we were within walking distance of Lima Floral, the little sibling of the original Lima in Fitzrovia. 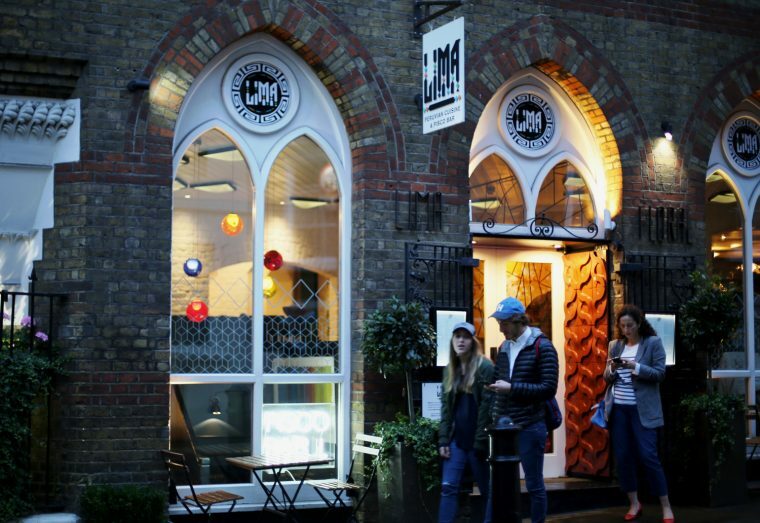 The restaurant is right on the corner of Garrick Street and Floral Street in a pretty building which was originally built as a monastery. Now the interior is vibrant, South American style. There’s a cosy ground floor restaurant and a large bar downstairs. It’s a friendly place too, you get the feeling the staff enjoy working there. We ordered drinks to start – a pisco sour for me, beer and a non-alcoholic cocktail for the others. Cusquena is well priced at £4 a bottle, but the cocktails and wine list pricing is fairly typical for this part of London. 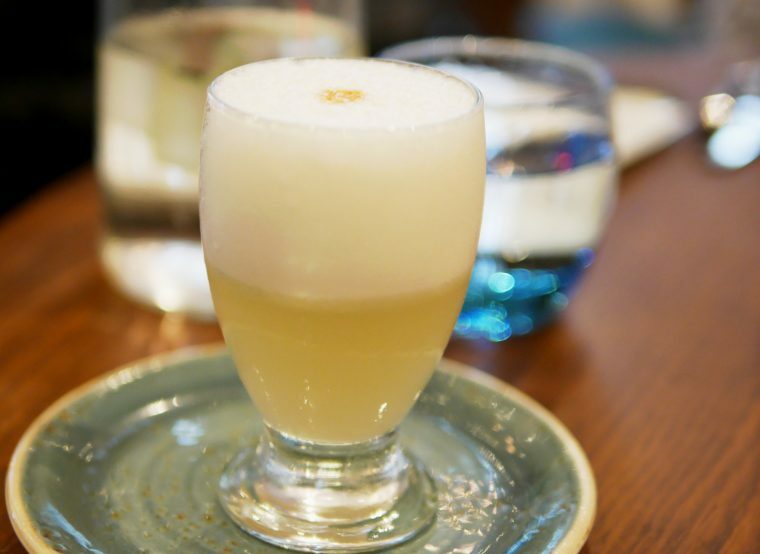 My pisco sour was spot on though – and the nonalcoholic cocktail was well received enough for a second order. The wine by the glass is served in 125ml measures and none of the cheapest bottles (£28 or thereabouts) are offered by the glass. That makes wine pairing an expensive hobby here! 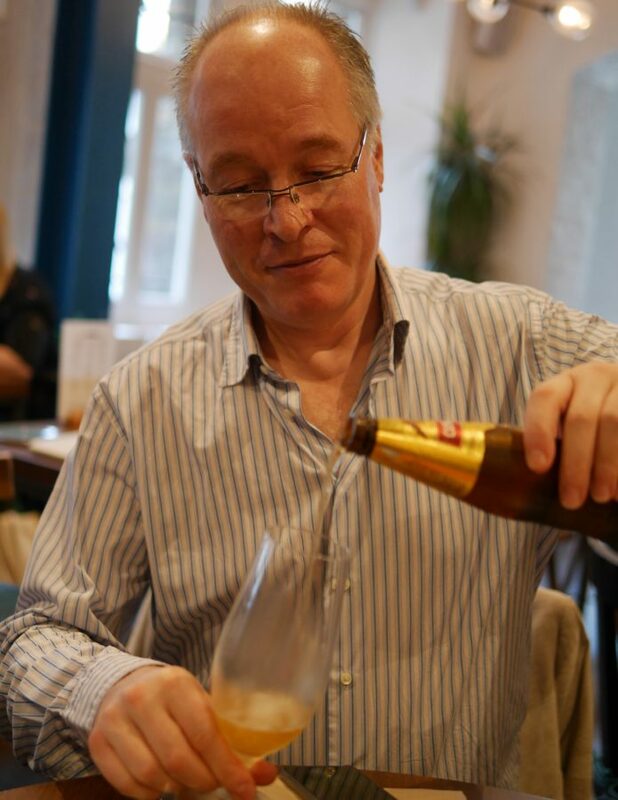 Next time I’ll be drinking beer too though I did enjoy the two glasses I ordered – a £9 Fillaboa Albarino to drink with the starters and a £8 La Mascota Malbec for the beef. Plantain crisps and cornbread to nibble on while we ordered went down very well. Both came with dips – a hot chilli sauce for the bread and a milder huancaina, cheese sauce for the plantain crisps. Sharing a couple of tapas style dishes to start seemed like a good idea since both my companions had eaten a substantial lunch. But then again perhaps it wasn’t such a good idea as what we ordered was delicious and very moreish. Ocean Ceviche was the recommendation of our friendly waitress and came with sea bream, tuna and octopus in tiger’s milk, dressed with crispy corn and sweet potato puree. Dainty and light with just the right level of heat from the tiger’s milk, I could easily have eaten the lot. Our other dish was a Peruvian style tuna tartare, a special rather than the tiraditos on the menu. Another light and very moreish dish, this one was stunning on the plate. Though it didn’t last for long enough to take many pictures. 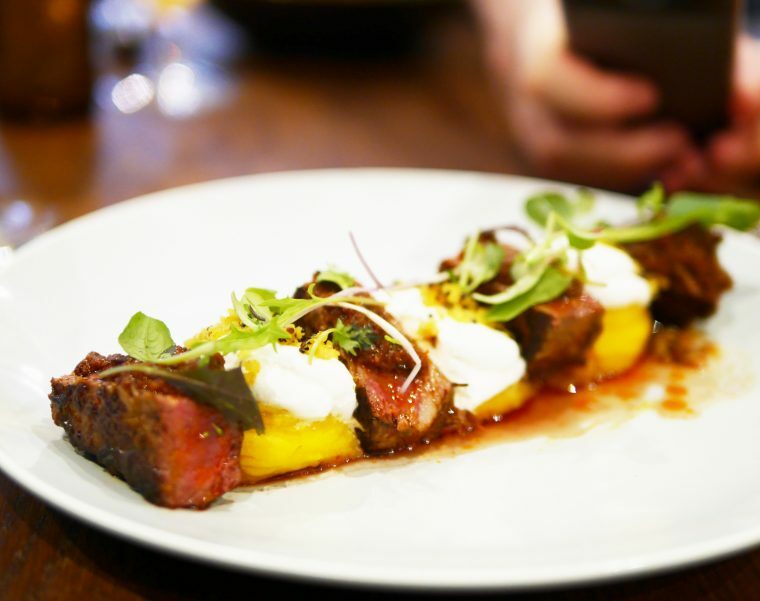 My main course of Beef Fillet with sun dried chillis, yellow potato puree and fresh cream cheese was delicious and perfectly cooked. The chilli was tangy rather than searingly hot and the meat, served medium rare, beautifully tender and perfectly cooked. 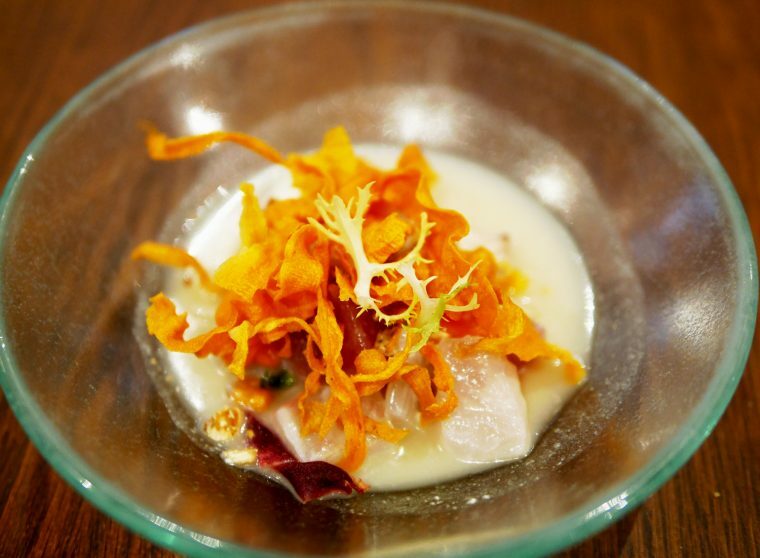 For one of my guests a ‘Hot Ceviche of Stone Bass’ which arrived looking something like an exotic fish stew. 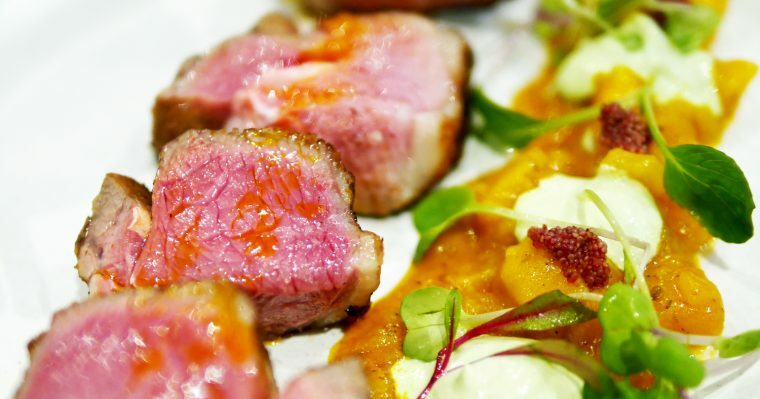 He was delighted with the dish which was liberally spiced with heated ají amarillo tiger’s milk and achiote oil and was served with sweet potato purée. My other guest ordered the Lamb Rump Amazonia, again served medium rare. It came with what are described as 4000m Peruvian potatoes, fresh herbs, cheese and red kiwicha (a type of amaranth with long red flower clusters). I’m not entirely sure what the benefit of 4000m potatoes might be, but it appears that some farming districts of Peru zone their crop cultivation by altitude, presumably because of the climate changes. And, the country is home to literally thousands of potato varieties and is where the potato originated. My companion thoroughly enjoyed her lamb and the plate was left so clean it could have been through the dishwasher. I’ll definitely be back. 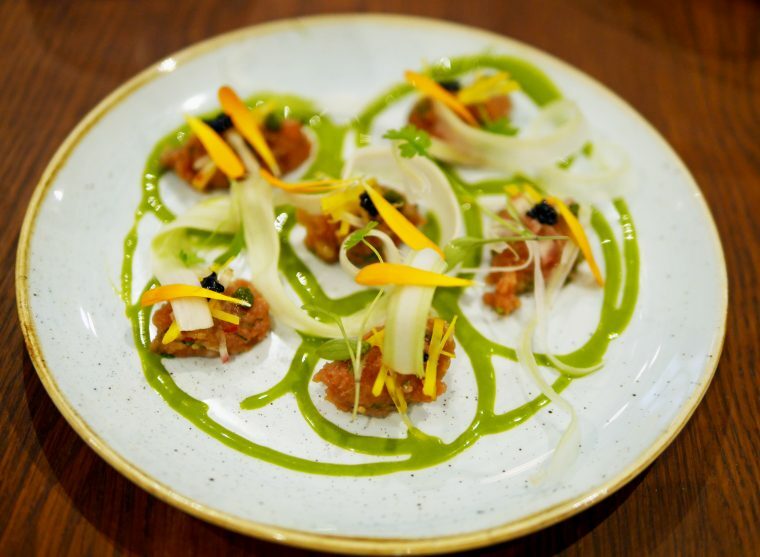 Lima Floral has an excellent Pre-Theatre (£17.50 for two courses or £19.50 for three) and they also offer an intriguing weekend brunch option. 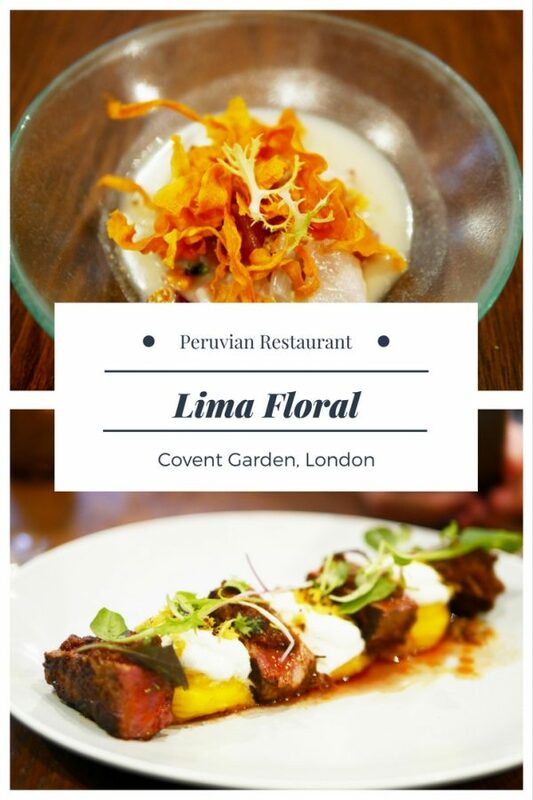 And I really want to visit the original Lima in Fitzrovia, which is the only Michelin Starred Peruvian restaurant. But that will just have to wait!